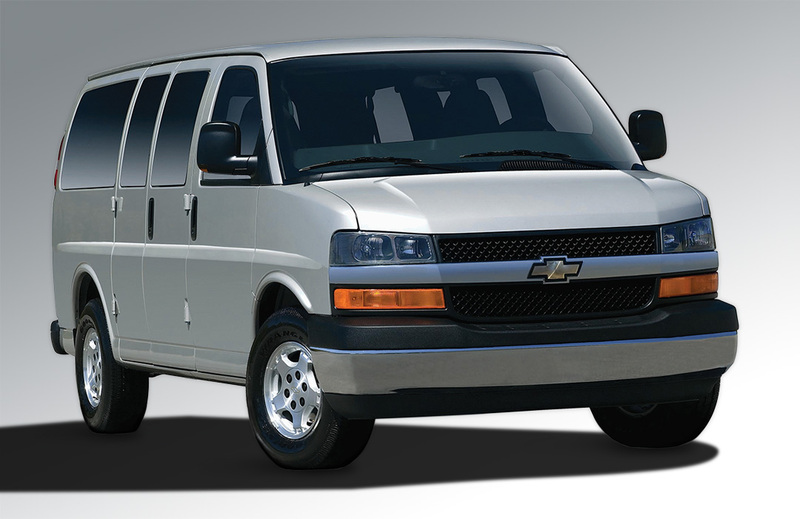 A passenger van that can transport 13 passengers in comfort and safety, the SafetyVan is the best choice for value and comfort. SafetyVans is all about the inside. 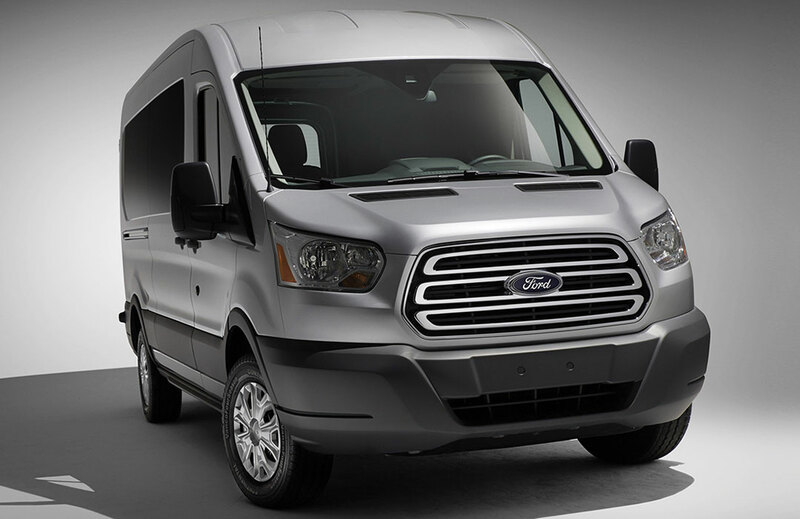 For comfort and safety, factory van interiors are good, but you deserve the best. 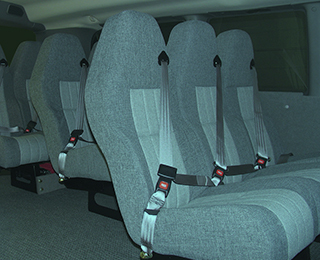 Plush, durable, and comfortably safe and secure for all passengers. 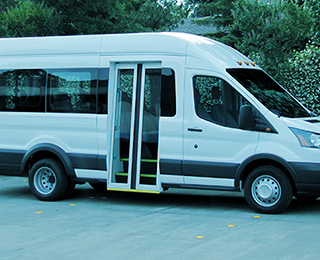 For passengers with mobility disabilities, SafetyVan offers the Ford Transit version, with any number of floor plan configurations, wheelchair restraint and rear-entry lift. Ride in style, travel in comfort and safety. 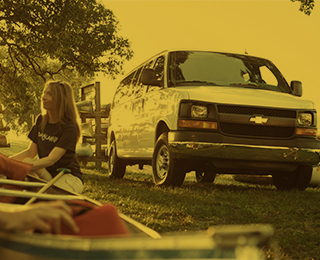 This is the reason the SafetyVan has become so popular with so many different transportation buyers and providers. Using a proprietary sub-flooring innovation, safetyVans are up fitted with coach-style seating that includes a 3-point safety restraint, factory–equipped side air bags and reinforced roofing that delivers not only added safety, but a quiet ride environment. The flooring plans may be customized in an incredible number of options for comfort and utility, as well as easy entrance and egress.